Arduino or Genuino is open-source software and hardware prototyping platform Basically it is board with microcontroller. Two names are caused by license issues. 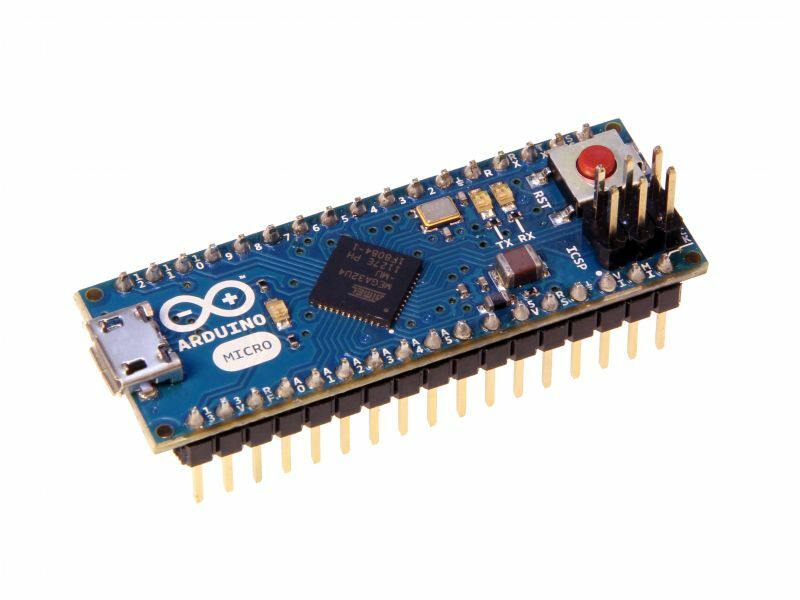 Boards named Arduino are sold in USA, but in other countries are sold as Genuino - but boards are the same. In comparision to RPi, microcontroller have much lower power consumption. Programs are uploaded directly to onboard memory. There is no need for operating system. For some purpose, microcontroller boards are more suitable than more "robust" RPi. But due to GPIO, both Arduino and RPi`s peripherals are interchangeable - both software and hardware. This is the reason why some of the guides are only for Arduino. From a lot of boards I chose to use Arduino Micro. The board costs 15€ and is very compact.